SEC 27th Ave. & Lower Buckeye Rd. Viewing:Home SEC 27th Ave. & Lower Buckeye Rd. 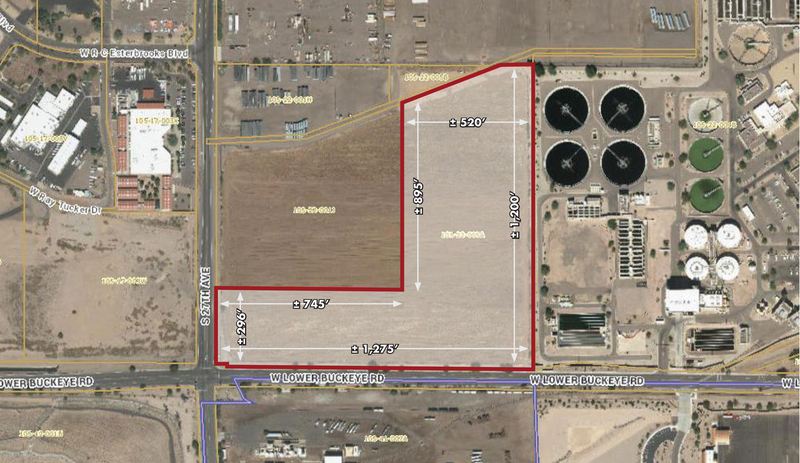 19.74 Acres Fully Fenced. Utilities Available. Zoned A-2, Heavy Industrial.